How awesome would it be if you are given a tank to fight, pitted against other tanks in a battleground with nonstop gun blazing and lots of explosion along the way. 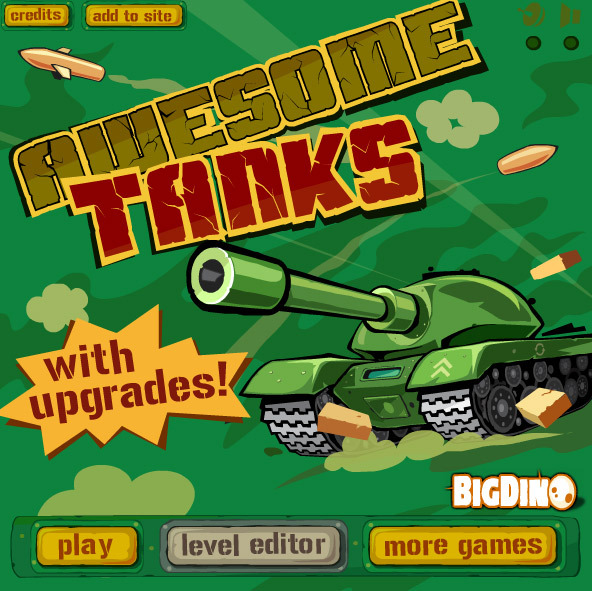 If you are seeking such excitement and thrill, then Awesome Tanks 1 is the perfect choice. 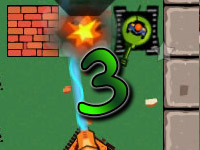 In Awesome Tanks 1 you can blow anything up to the sky with your orange tank. So get ready for super explosive fun and mayhem. 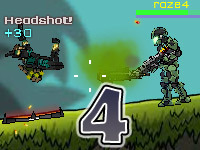 As the name suggest the game is really awesome to play, the game provides you a nice shooting and tactics genre into one complete package which is a rather unique combination. 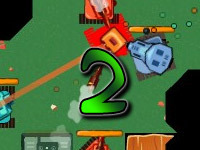 In Awesome Tanks 1 you are given an orange tank with a machine gun which can destroy from brick walls to giant tanks. You can upgrade the weapon and body parts of the tank from the shop. Also, in this game your vision to see the whole map is limited by a fog of war which means you will have no vision of the map until you explore the area. So if the area is hidden by fog it can be quite dangerous because enemy tanks can hide in there and can ambush you along the way, extra caution should be maintained at all times. 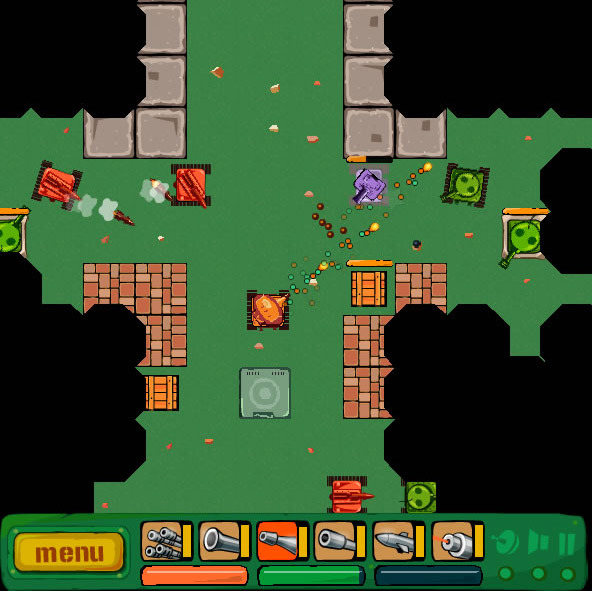 When it comes to shooting it doesn’t mean you can blast everything in your path and win the game, in this game your tank is not invincible so you need to shoot strategically to make sure you take less damage the brick walls are an excellent shield that can be used to avoid oncoming bullets from the opponent. The shop is available at the start of each mission. The shop provides a lot of items and upgrade for your tank. In the shop you can purchase ammos which are required for certain types of weapons. The currency of the shop is earned by collecting coin from each stage and destroying enemy tanks. Missile – Another strong and deadly weapon is the missile it is really nice and quite exciting to use. The missile causes a giant explosion on impact and it can also be guided with mouse after launch. So the missile can be used tactically to finish of the enemy. 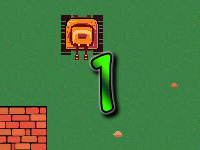 The awarding of score in this game is very simple and rather easy to pick up. You can obtain score by destroying enemy tanks in each stage and destroying bonus crates gives you points as well. 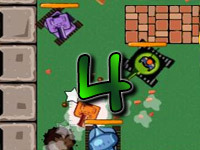 For player who loves to keep track of their record and show off to other player the achievement feature is perfect for them as it has a variety of achievement which are really unique and challenging.